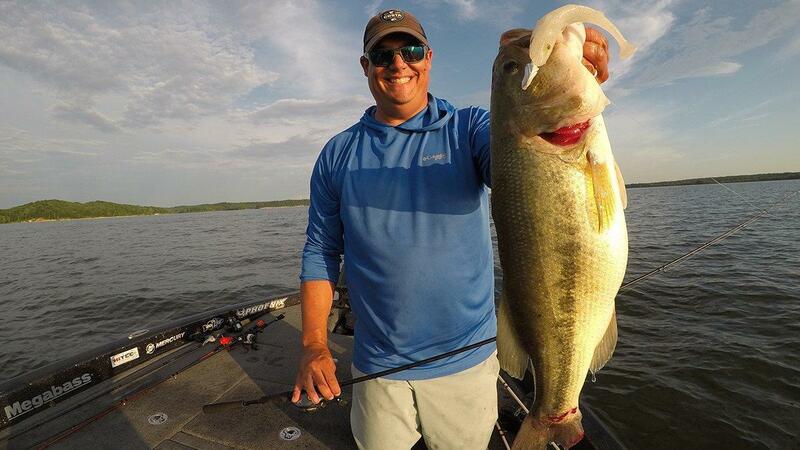 I get asked about fishing swimbaits out deep for bass a lot, and one scenario that guys seem to struggle with is catching bass out deep on fisheries experiencing a lot of current. It’s not a big deal down to about 10 feet of water. But when you are fishing for bass in 20 to 30 feet of water, it gets to be a lot more challenging if there is much current. Here are the things I do when I’m fishing for deeper bass in swift currents like we’ve had recently on the TVA in the Alberto aftermath that dumped inches of rain all over the south. The first thing is to move yourself into position to reel your bait along in the strike zone for the longest amount of time. When there is a lot of current, fish are more prone to get down and feed real close to the bottom. 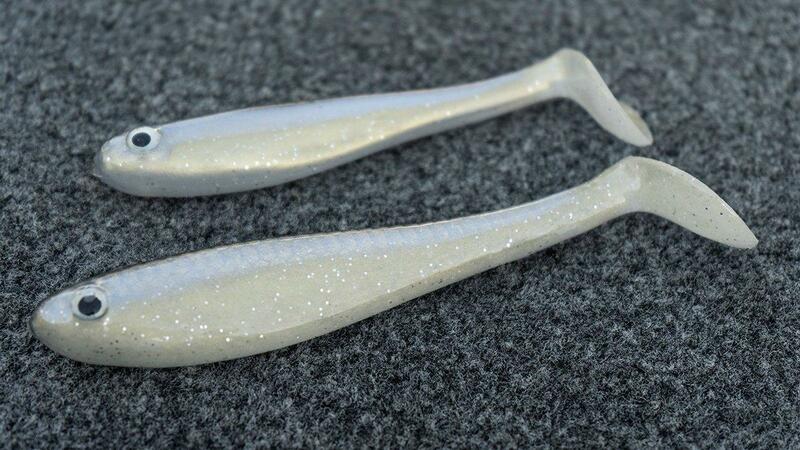 The current disorients baitfish and makes them easier to eat. The problem is if you reel against the current, the bait rises because the resistance against its tail. So if you will move your boat down current, cast back up current, let it sink to the bottom and then reel it with the current it will stay down on the bottom. Again this matters more the deeper you get. But often it presents the bait the most natural way. 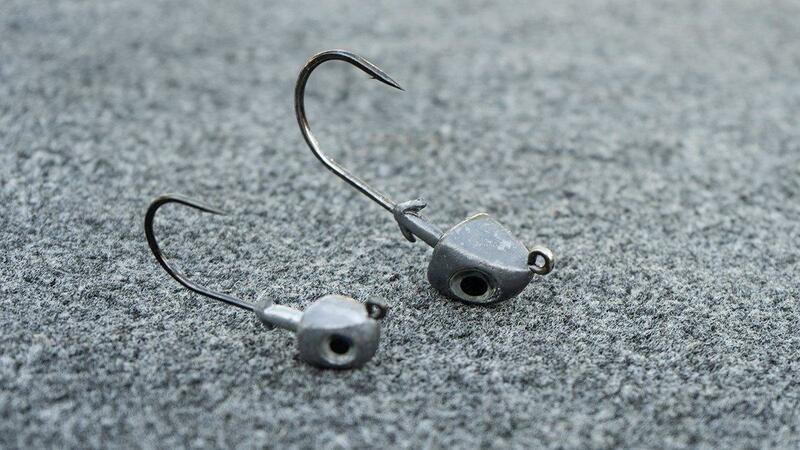 The next thing I will do if the spot I’m fishing doesn’t allow for me to efficiently reposition to fish it with the current, I will add weight to my Swimbait head. So if I’ve been fishing a 3/4 ounce in less current and now the current gets much stronger, I might bump up to 1 ounce or even 1 1/4-ounce heads. 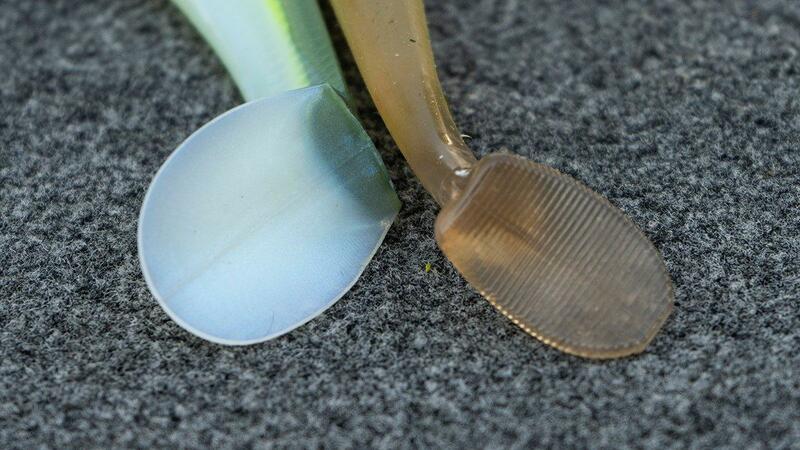 This will help keep the bait near the bottom and in the fish’s strike zone longer. If adding weight doesn’t give me the desired result, I will often switch to another paddle tail that doesn’t resist water as much. You can usually tell which baits are going to lift more by how hard they thump when you retrieve them. The wider and more round the paddle tails are, the more they will lift when forced against the current. But if the tail is more oval or oblong, the more it will kick without lifting in heavier current. 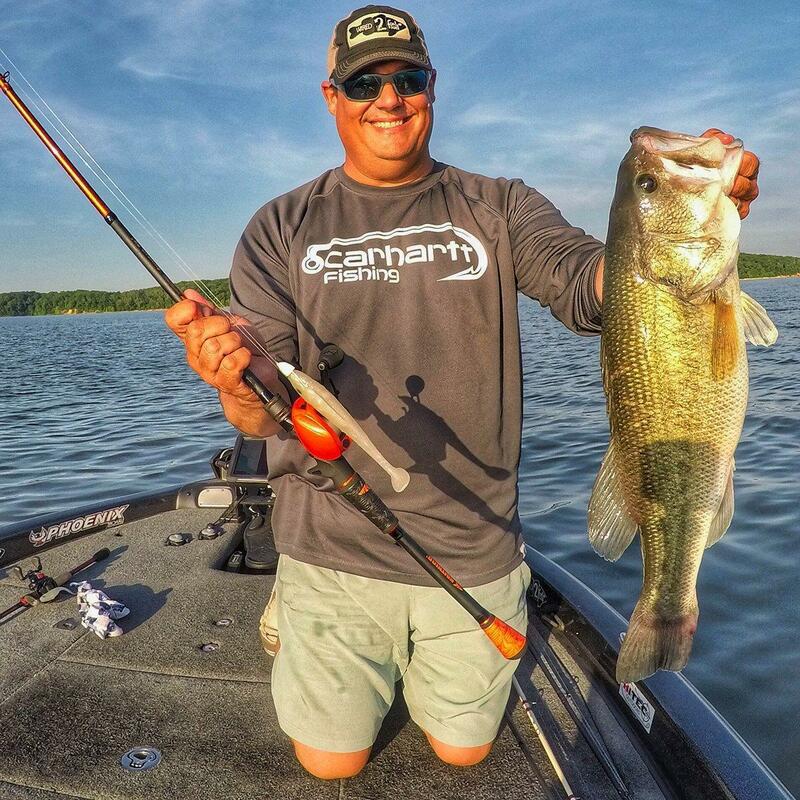 You can also achieve this by going down in size of your swimbait. So maybe you are fishing a 6 or 7 inch model and then the current requires a drop down to the 4 or 5 inch model for less thump and resistance in deep water. Further down my bass fishing option list is to drop down on line size. I might go down to a 12-pound line from a 15-pound line. Or maybe down to a 15-pound if I was using a 20-pound line. The smaller diameter won’t have as much drag in the water and won’t catch a bow in your line as much that sometimes causes you to miss fish in heavy current. Just keep in mind when you drop down, you lose a little sticking power in a deep water and you better be ready to give them some line when a big one surges near the boat. The final thing I will do is alter my retrieve a bunch. One thing I do more in heavy current is stutter. Normally with a deep swimbait, a keep a slow, low and steady retrieve. But in current where I feel the bait is being pushed up, I will simply stop reeling a few turns, let the bait pendulum and fall back to the bottom and immediately start reeling again. This lift and drop and change of speed and direction often triggers bites I wasn’t getting on the steady retrieve. These are all good options and I will often mix and match them when I’m fishing in a lot of current. When fish first pull out to the ledges and group up and the current is really ripping, changing sizes, retrieves and angles can all add a few more bites from a school of bass. I might get down current and fish with a big 6-inch swimbait. Then reposition the boat, swing back up current and go up a head size or drop down in bait size while stuttering my retrieve more and pick up a few more fish. Don’t let the current lull you to sleep and not be aware of what your bait is doing when fishing for bass out deep with a swimbait. The biggest thing I tell people is to stop reeling and count one thousand one, one thousand two until the bait hits bottom. The longer it takes the more the current is pushing your bait up and the more you need to change something to keep your bait down in that prime strike zone when fishing deep. This is not just a summer thing too. I actually got really good at this fishing for really deep schools in 30-40 feet of water in the winter when there was a bunch of current a few years ago. The bass would tuck behind rises. You would position downstream and cast way up and just barely tick the bottom. 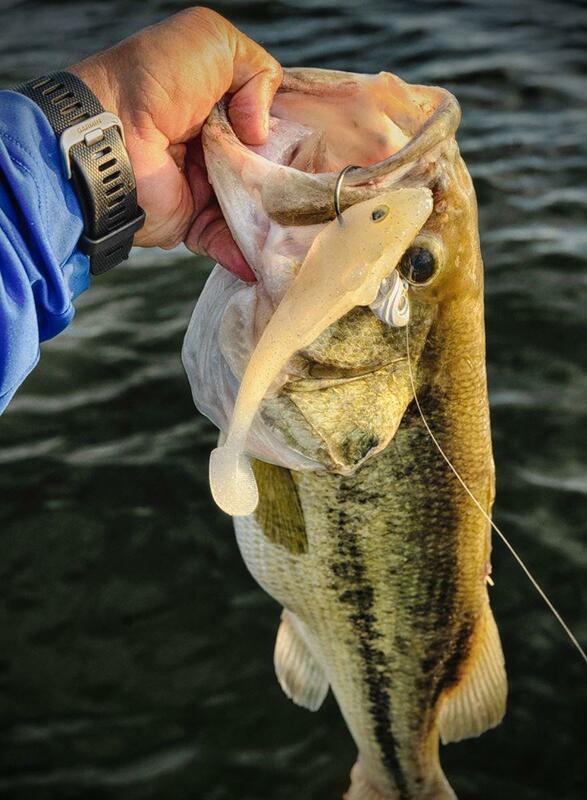 As you cleared the high spot, a bass would absolutely twist your arm hitting the swimbait. It lasted for several days and it’s how I figured out many of these tricks that I now apply to my summertime swimbait fishing out deep. My staple swimbait that I start with on Kentucky Lake is a 6-inch Scottsboro Tackle on a 1-ounce STC Recon Swimbait head or a 5-inch Zoom Swimmer on a 3/4-ounce VMC Boxer Head and then finally I'll drop down to a Strike King Rage Swimmer or a smaller 4-inch Jenko Booty Shaker on 3/4 ounce VMC Boxer Head, Flat Shad or BOSS Swimbait head.